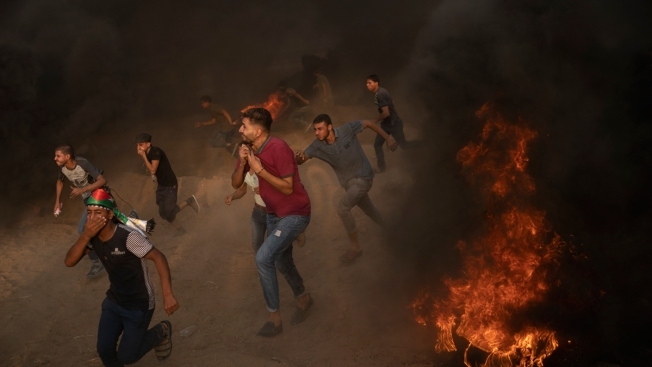 In this Friday, Aug. 31, 2018, file photo, Palestinian protesters run from teargas fired by Israeli troops during a protest at the Gaza Strip's border with Israel, east of Gaza City. The 11-year blockade and growing anger have put a lot of pressure on Hamas, which is trying to redirect it toward Israel with relentless protests. Atalla Fayoumi hobbles on crutches across the flat, sunbaked plain near Israel's border fence in the Gaza Strip, gazing toward plumes of smoke rising from a clutch of burning tires in the distance. The 18-year-old Palestinian's right leg was amputated after Israeli soldiers shot him in April at one of the mass demonstrations held weekly for the past eight months against Israel's long blockade of Gaza. Yet, like other desperate young men in Gaza who feel they have nothing left to lose, he has kept returning to the protests. The Gaza Strip has been on the front line of confrontations between Palestinians and Israel for generations. But the territory has been brought to its knees over the last decade by three punishing wars with Israel and an air, sea and land blockade. The 11-year blockade, imposed by Israel and Egypt, is aimed at weakening Hamas, the militant group that seized power in Gaza from the internationally-backed Palestinian Authority in 2007. But its impact is felt by all. Raw sewage flows directly onto once-scenic Mediterranean beaches, tap water is undrinkable, and electricity is available just a few hours a day. Over half the Gaza Strip's 2 million people are unemployed, and most residents cannot leave. While most Gazans see the protests as the inevitable reaction to Israel's siege, Israel views them as coordinated attacks and says it must defend itself. Since they began on March 30, Israeli troops have killed more than 170 people and shot nearly 6,000 others. 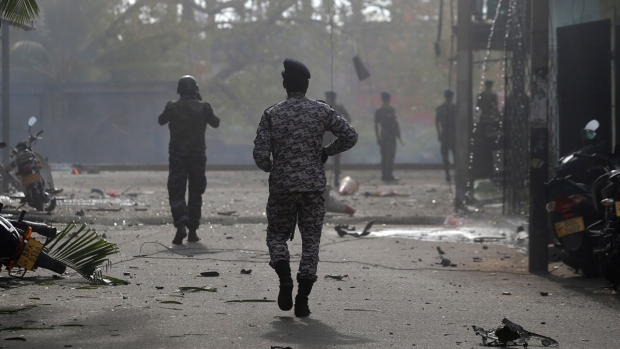 Thousands more have been wounded by tear gas or rubber-coated bullets. On the Israeli side, one soldier was killed by a sniper and six others wounded. When Fayoumi arrived at one of five protest sites along the border just after 2:30 p.m., the area was largely empty. A few days earlier, he swore he would keep participating despite his wounds. But why? "Because I want to die," he said. Yes, he hopes the blockade gets lifted so he can leave Gaza to get a new, prosthetic leg. But if that doesn't happen, "what's the point of living?" By 5 p.m., at least 13,000 people are gathered along the border, throwing rocks and burning tires. Ambulance sirens begin to howl soon after, signaling the start of the day's violence. At a medical triage tent about a kilometer (half a mile) from the frontier, they bring the wounded: a 22-year-old shot in the left leg, an 18-year-old struck by shrapnel, a 31-year-old shot in the chest. "Every Friday we wait for the injuries, and every Friday it's always the same," says one of the staff, Dr. Khalil Siam. "They always come." At the border, all hell is breaking loose. Protesters are swarming the 12-foot-high fence. One man is hanging from the top, shaking it back and forth. The noise is constant, like a waterfall. Men are blowing whistles. Others are screaming at the top of their lungs. Most are throwing rocks over the fence, thrusting their fists in the air, taking selfies, waving Palestinian flags. Every time a gunshot rings out, they duck like a school of fish darting in unison. Sometimes a man falls, and within seconds he is surrounded by medics in orange uniforms, who bandage him on the spot and rush him on a stretcher to the ambulances waiting in the rear. After the sun sets, the crowds dissipate rapidly as two black drones circle overhead. A pair of nearby explosions sends shards of concrete and debris hurling into the air. 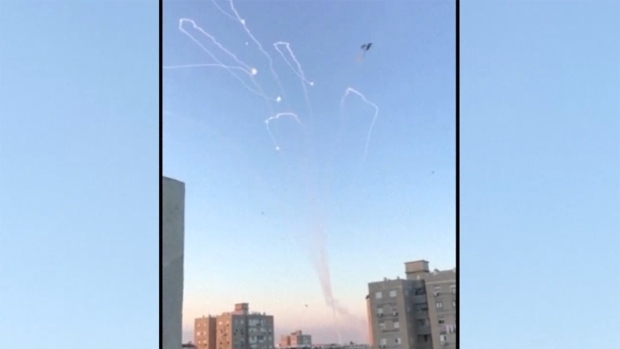 The Israeli army will say that aircraft and a tank struck two Hamas watchtowers after a soldier was wounded by a pipe bomb. The last casualty arrives at the medical tent at 7:24 p.m. Siam says his team treated 25 people, mostly for gunshot wounds. Half were shot in the leg. Almost every Friday protest is followed by at least one funeral on Saturday. This week, there are three, including one for an 11-year-old boy. On Sunday, Fayoumi is sitting on the small bed in his small room, showing off pictures of himself at Friday's protest. He is proud that he went. Proud that he stood up for the Palestinian cause. But when asked if having a job would have changed anything, his answer is clear: "I would never have gone." After his injury, Fayoumi received a payment of $200 from Hamas. It was spent long ago, he says, on medical bills. Associated Press writer Fares Akram contributed to this report.